AMANDA WALLER (Viola Davis). 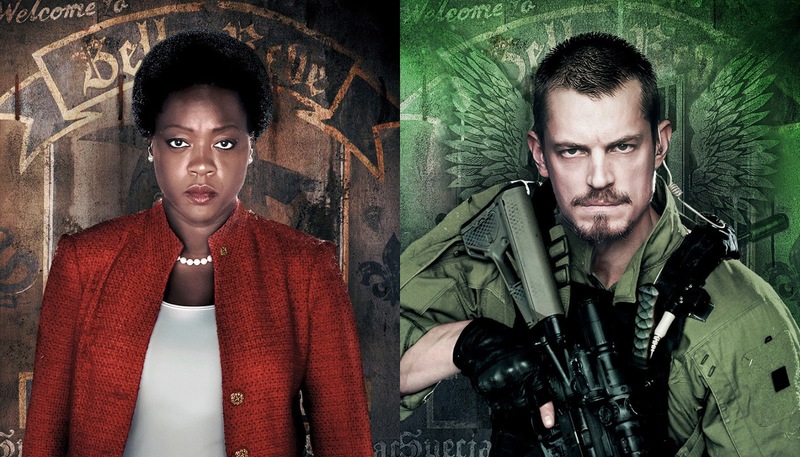 A hard-as-nails career U.S. intelligence officer who makes bad things happen to bad people, Amanda Waller is the secret commander of the Suicide Squad and cares only about the operation at hand—everyone is expendable when serving the greater good. She puts the inaugural Squad together in order to attempt an impossible mission, ensuring herself easy patsies to take the blame and zero personal accountability if things go wrong. COLONEL RICK FLAG (Joel Kinnaman). Amanda Waller’s second-in-command, Colonel Rick Flag is the best Tier One Shooter the armed forces has produced, which makes him even more suspicious of a homegrown cannon like Deadshot (Will Smith). A military man through and through, Flag is in charge of keeping this disparate group in line. THE JOKER (Jared Leto). Chaos personified, The Joker is incredibly dangerous and revels in every single moment of the chaos he creates. Batman’s greatest, most unpredictable adversary, he is also Arkham Asylum’s most infamous resident, as well as the love of Squad member Harley Quinn’s life. KATANA (Karen Fukuhara). Dressed in Samurai-inspired, street fighter garb and ballistic facemask, Katana wields the Soultaker, a large Samurai sword that traps the souls of all its victims. A cold-blooded killer, she serves as a member of the Squad, but is also there as an associate of Colonel Rick Flag to keep the others in line. LIEUTENANT “GQ” EDWARDS (Scott Eastwood). The leader of the Navy SEAL team assigned to the Squad’s mission, Lieutenant “GQ” Edwards – along with fellow SEALs Anvil, Gomez and Kowalski – wears his confidence as easily as his personal armory of weapons.